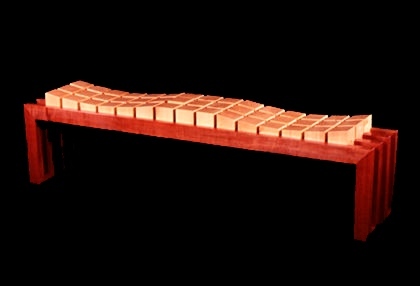 Peter has produced a limited edition of seven original 'Forest' benches made from the extremely rare Tasmanian huon pine and myrtle. These retail at $12,500 and include crating and air freight delivery. All profits from the sale of every Forest bench will go to the construction of the Windgrove Centre, a multi-purpose meeting hall and accommodation facilities for residential environmental studies and conferences.